Russia decided to apply to join the China-led Asian Infrastructure Investment Bank (AIIB), the country’s Deputy Prime Minister Igor Shuvalov said on Saturday. “I would like to inform you about the decision to participate in the AIIB,” which was made by Russian President Vladimir Putin, Shuvalov said at the Boao Forum for Asia. 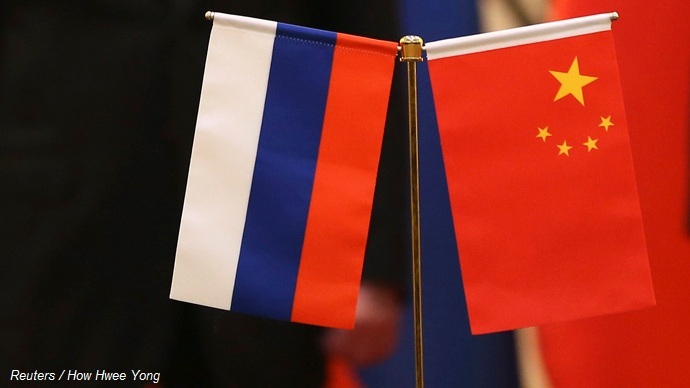 Shuvalov added that Russia welcomes China’s Silk Road Economic Belt initiative and is happy about stepping up cooperation. “We are delighted to be able to step up cooperation in the format of the Eurasian Economic Union (EEU) and China…the free movement of goods and capital within the EEU brings economies of Europe and Asia closer. This is intertwined with the Silk Road Economic Belt initiative, launched by the Chinese leadership,” he said. Britain and Switzerland have been formally accepted as founding members of the AIIB, China’s Finance Ministry confirmed Saturday. This comes a day after Brazil accepted an invitation to join the bank. “We should push forward with the creation of a regional hub for financial cooperation,” Chinese President Xi Jinping said Saturday, Reuters reported. China should “strengthen pragmatic cooperation in monetary stability, investment, financing, credit rating and other fields,” Xi said. AIIB has 30 founding members with applications still coming in, according to China’s Finance Ministry. Australia has recently applied to join the bank. The application deadline has been set for March 31. Other nations will still be able to join the AIIB after the deadline expires, but only as common members, Chinese Finance Minister Lou Jiwei said last week. China wants to see the AIIB operational before the end of 2015. Washington recently shifted its tone towards the AIIB, which is seen as a rival of the US-led World Bank, the International Monetary Fund (IMF), and the Manila-based Asian Development Bank (ADB) which is dominated by Japan and the US. The China-led infrastructure bank is expected to launch with an initial subscribed capital of $50 billion and focus on financing infrastructure projects across Asia – including energy, transport and telecommunications infrastructure, urban and rural development, and the environment. The 2015 annual Boao Forum is being hosted by China under the title of ‘Asia’s New Future: Toward a Community of Common Destiny.’ The central goal of the conference is promoting solidarity and cooperation among Asian nations. Topics of discussion include macroeconomy, technological innovation, politics, security, industrial transformation, and regional development.